Maps have always been distorted. Now that distortion is Google's selling point. At its annual developer conference yesterday, Google announced a complete overhaul of its maps. Among other things, changes include a cleaner interface, integrated Google Earth, and maps that learn as you use them. If you search for a curry, it will suggest other South Asian restaurants. If you're friends with lots of people who visit libraries, it may direct you to book stores. With all the data Google collects across its various services, it has a pretty good idea of who you are. Now it will use that information in its maps. That probably sounds pretty creepy in a "Google's using my data and telling me what it thinks I want again" sort of way. But it is the opposite of insidious. It is honest. And it fixes the one thing that has always been wrong with maps. Maps are generally seen as neutral objects, like chemistry formulae or mathematical equations. But they are about as impartial as journalism. It is the illusion of neutrality that gives a map its power. Every aspect of a map, from its scale and the area covered (which are related) to the features it leaves out is a deliberate choice on the part of the agency making it. The most obvious example is deciding where to put a border. But even maps that present physical features, shipping routes or climatic conditions involve decisions on the part of the cartographer. Maps present a point of view. Digital cartography solved some of the problems imposed by practical limitations. A zoomable map on a screen need not present a choice between scale and size. The same screen can accommodate a single street and an entire country. But other problems remained. Is the hot dog vendor who stands on a street corner as worthy of inclusion as the bank on the same corner? That decision still lay with mapmakers--in this case a giant internet company. Google's solution to the problem was to remove itself from the equation. Its map maker tool, much lauded for its use in creating usable maps of North Korea and now slowly being rolled out in other countries, allows users to mark locations in a Wikipedia-like fashion. The new product goes further. It says on the tin that this is map is made for you: "a billion maps, one for each user," as Google's lead map designer, Jonah Jones, told TechCruch. What about advertising? Of course Google will use your information to serve you ads. That is what it does. And as on other Google products, ads will be clearly marked. 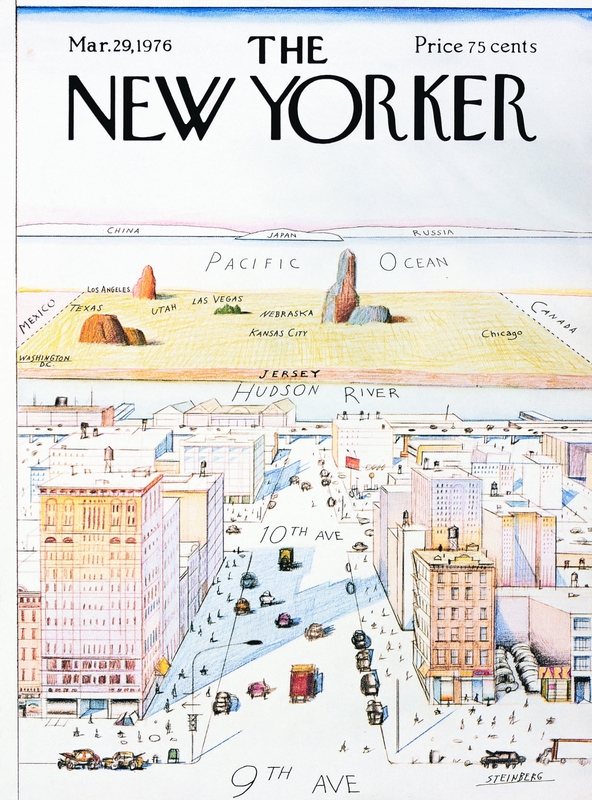 The idea of "mental maps," or how individuals see the world, is an old one, used by artists and ethnographers and New Yorker cover designers. What Google has done is to bring the mental map to a service used by several million people. With one for every user, maps can never again lay claim to--or even give the illusion of--neutrality. Despite its restrictive nature, such a map frees us to see the world anew. Leo Mirani is a reporter with Quartz in London.